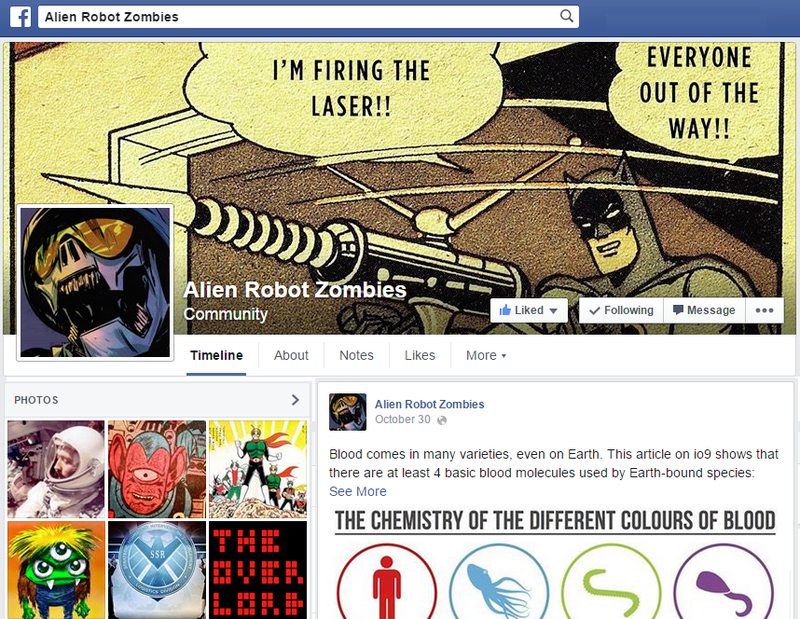 All superheroes like to mix it up a bit, but the following ones seem to enjoy the scrap just a little more than most. These heroes were born to be brawlers. Wonder Woman is an Amazonian princess who became a champion of America in World War II, and finds herself caught between her ancient matriarchal society and modern, male-dominated society. Captain America is a regular Joe who became a champion of America in World War II, and – after being frozen for a few decades – reawakens to find himself caught between the past he remembers and modern society. Wonder Woman actually approaches the heroes in round one in terms of power: she is super strong, invulnerable, can fly and has magic bracelets that shield her from bullets. She has a little more bloodlust than most, though – although this aspect of her storytelling potential has not been realized as well as it should. Captain America has no powers, but is in peak physical shape and has a near-magic shield that protects him from bullets. He is also a beacon of moral fiber, and like Batman he is a mortal who can stand shoulder to shoulder with gods. Classically coolest: tie. Most badass: tie. Most firepower: Wonder Woman. Most heart: Captain America. Most compelling character: tie. Overall winner: Captain America wins based on his track record so far. Wonder Woman has just as much storytelling potential, but has just not lived up to it. 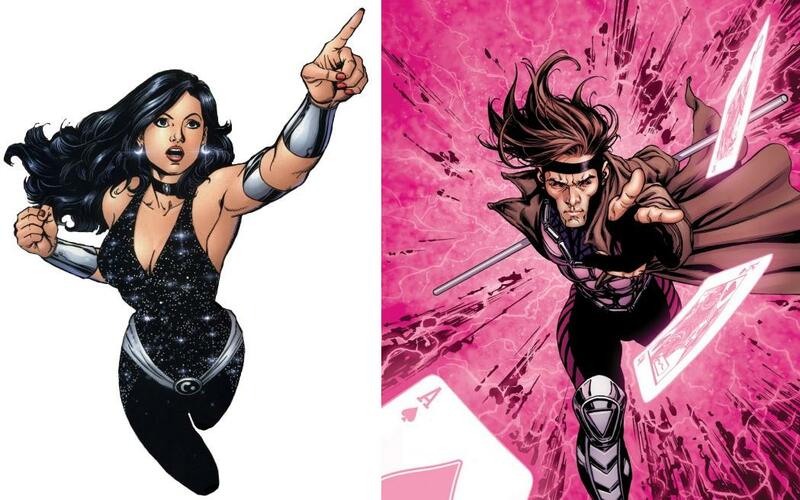 Donna Troy, also known as Wonder Girl or Troia, is Wonder Woman’s younger sister and has most of the same powers. She is best known as a member of the Teen Titans. Gambit is a mutant who can imbue small objects with energy and fire them like missiles. He is best known as a member of the X-Men. Both are exceptionally skilled warriors. Both feature in some pretty interesting storylines, so this is a close one. Classically coolest: Wonder Girl. Most badass: Gambit. Most firepower: Wonder Girl. Most heart: tie. Most compelling character: tie. Overall winner: Wonder Girl. 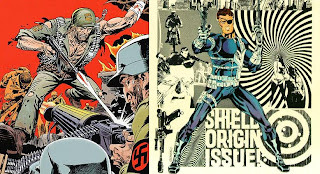 Both of these soldiers originated in World War II and have somehow survived into modern times. This was no contest even before Marvel made the badass decision to cast Samuel L. Jackson. 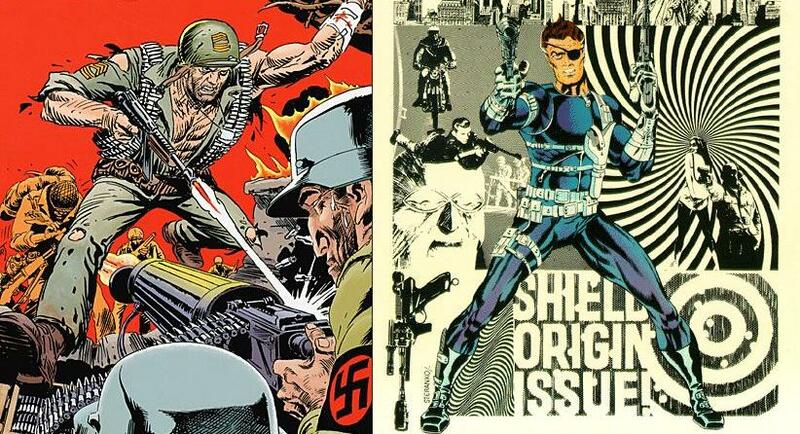 Classically coolest: Nick Fury. Most badass: tie. Most firepower: tie. Most heart: tie. Most compelling character: Nick Fury. Overall winner: Nick Fury. Hawkman is a reincarnated alien with artificial wings and a magic mace. Falcon is one of the first great Black characters in comics, an equal partner with Captain America for many years. He also has artificial wings and a telepathic link with his pet hawk. Classically coolest: tie. Most badass: Hawkman. Most firepower: tie. Most heart: tie. Most compelling character: Hawkman. 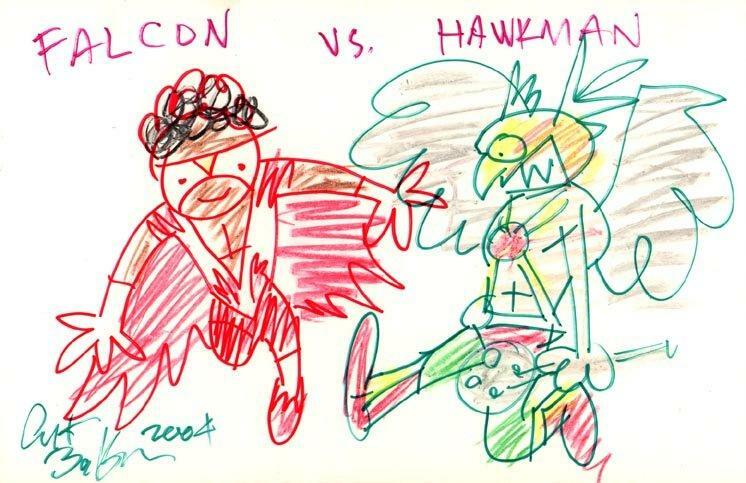 Overall winner: Hawkman. 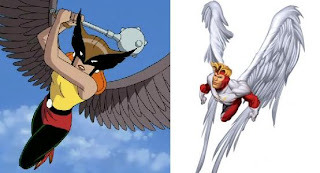 Hawkwoman is a female version of Hawkman, and is bound to him by fate as they are reincarnated from life to life. Angel is a mutant with real – not artificial – wings, and one of the original X-Men. Classically coolest: tie. Most badass: Hawkwoman. Most firepower: tie. Most heart: tie. Most compelling character: tie. Overall winner: Hawkwoman. John Constantine hunts and fights demons and was played poorly by Keanu Reeves in a movie. Blade is a half-vampire who hunts and fights vampires and was played poorly by Wesley Snipes in three movies. Classically coolest: tie. Most badass: tie. Most firepower: tie. Most heart: tie. 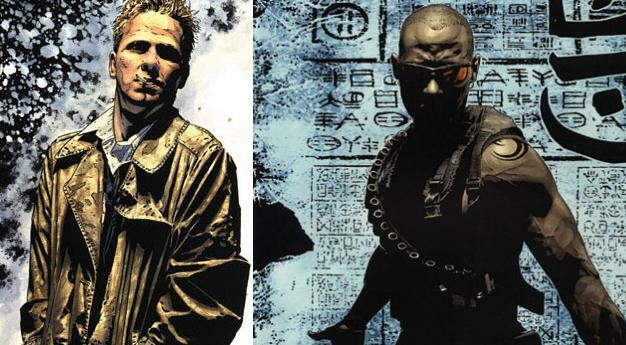 Most compelling character: Constantine. Overall winner: Constantine. Steel is a Black guy in armor who wields a big hammer and wears an “S” on his chest like Superman. War Machine is a Black guy in armor who wields a lot of guns and has actually been Iron Man. Classically coolest: War Machine. Most badass: War Machine. Most firepower: War Machine. Most heart: Steel. Most compelling character: War Machine. Overall winner: War Machine. Two martial arts specialists. Mister Terrific is super-smart, but has a ridiculous costume that consists of a giant “T” on his face. 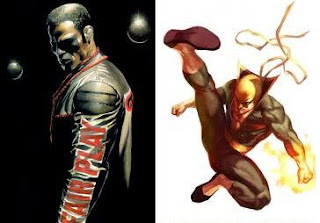 Iron Fist has a magic fist, a dragon tattoo and a much cooler costume. Plus, he hangs out with Luke Cage. Classically coolest: Iron Fist. Most badass: Iron Fist. Most firepower: tie. Most heart: tie. Most compelling character: Iron Fist. Overall winner: Iron Fist. Black Lighting is a poor kid from the ghetto who gained the power to channel electricity and became a champion of the underprivileged. Luke Cage is a poor kid from the ghetto who gained the powers of super strength and invulnerability and became a champion of – well, usually whoever pays him. Classically coolest: Black Lightning. 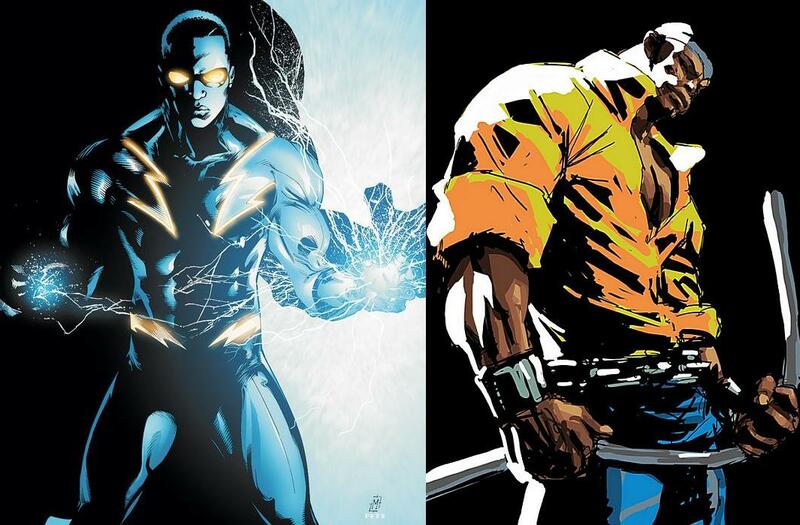 Most badass: Luke Cage. Most firepower: tie. Most heart: tie. Most compelling character: Luke Cage. Overall winner: Luke Cage. 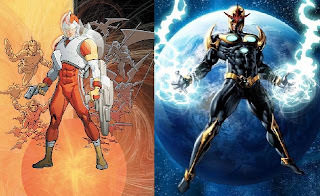 Adam Strange is a regular guy who uses alien technology with an Art Deco feel to become a champion of the planet Rann. Nova is a regular guy who uses alien technology like a helmet with a big star on it to become a champion of the planet Xandar. Classically coolest: tie. Most badass: tie. Most firepower: Nova. Most heart: Adam Strange. Most compelling character: Adam Strange. Overall winner: Adam Strange. Round three score: OK, this is starting to get old – DC 5, Marvel 5. Cumulative score: DC 20, Marvel 20.